Students should feel safe while away at college. They should be prepared in case an emergency should occur. 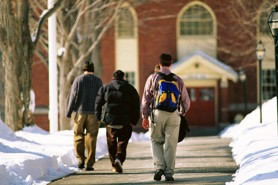 At Select Safety Sales, we provide student safety products to help college student feel safe and secure in their environment. They can be prepared with a college survival kit, an auto safety kit for traveling back and forth to college, smoke and carbon monoxide detectors for the dorm or off campus apartment, first aid kits in case of an emergency and personal safety devices to ensure safety on campus. Sold in Cases of 12. Quantity discounts available.